Seeing Shi Feng approach the dueling ring, Phoenix Rain frowned. "Ye Feng is still too young and aggressive." Although Phoenix Rain could understand Shi Feng's desire to challenge powerful experts, he should also consider the time and place. Sirius was an old monster that Shi Feng had no chance against as he was right now. Even if he wanted to challenge Sirius, at the very least, he needed to awaken his Domain first. Otherwise, the only outcome would be a miserable defeat. When Blue Phoenix saw this, however, she somewhat envied Shi Feng. Old monsters like Sirius stood at the true peak of G.o.d's Domain. Hence, many gaming experts' ultimate goal was to challenge monsters like Sirius and emerge victorious to prove themselves worthy of standing at the peak as well. Blue Phoenix had yet to qualify to challenge such old monsters. However, Shi Feng did. Why wouldn't she be envious? Although Sirius had intended to provoke Shi Feng, this showed that he acknowledged the Swordsman's strength. He believed that Shi Feng was qualified to challenge him. Otherwise, an old monster like Sirius would not stoop so low as to provoke a youth. If she were in Shi Feng's shoes, she, too, would accept this challenge to see what kind of heights she could reach. "This kid is insane. He is actually challenging Sirius." A victorious smile emerged on Hua Qiushui's face when she saw Shi Feng walk up the dueling ring. In order to recruit Sirius for the Glorious Lions Battle Team, she had made a powerful promise to the Battle Wolves. Had she not, the Battle Wolves would not have allowed Sirius to join the team. When she had first met Sirius, she had wanted to test the man's skills. Hence, she had hired over a dozen top-cla.s.s professional bodyguards to fight the old man. The outcome of that fight had far surpa.s.sed her expectations. Every one of the bodyguards she had hired was a top expert, yet, not one of these bodyguards had even laid a finger a finger on Sirius. Before she realized what had happened, all of her bodyguards were lying on the floor. She had not dared to move a single muscle. She had felt as if chains had bound her. At that time, she had finally realized how greatly she had underestimated the experts of the virtual gaming world. After all, Sirius had even defeated her most trusted bodyguard, Everlasting War, with a single move. Hua Qiushui had seen such situations before. However, that had been when she had hired ordinary people as bodyguards. In front of Sirius, even experts were no different than ants. Meanwhile, when Shi Feng and Sirius stood in the dueling ring, staring at each other, the stage's atmosphere seemed frozen. "Not bad!" Sirius nodded slightly as he watched Shi Feng. "You have reached such a standard at such a young age. You can even endure my mental suppression. It's been a long while since I've seen such a promising brat. You also agreed to fight me. Before the match begins, what would you say to placing a bet?" "A bet?" Shi Feng could not help but laugh when he heard this. "What do you want to wager?" "The girl named Fire Dance on your team is very promising. It would be a waste for her to remain on your team. She could have an even brighter future, so I'd like to accept her as my apprentice. I can help her advance on her path. In the future, she will grow to surpa.s.s me. Hence, if your Asura Battle Team loses, I want Fire Dance to become my apprentice. "Of course, if our Glorious Lions Battle Team loses, I'll tell you how to advance your combat standards. What do you think?" "How to improve my combat standard?" Shi Feng had to admit that he was tempted. After reaching his level, it was extremely difficult to improve further. Awakening a Domain was not a simple matter. Countless geniuses were stuck at this bottleneck and were unable to enter that realm. Even he had yet to discover any clues about awakening his Domain. Yet, Sirius declared that he had such a method. In Shi Feng's opinion, however, such a possibility should exist. In the past, he had merely been the Guild Leader of a second-rate Guild. He had very little information regarding the top powers of the virtual gaming world. These top powers had existed for decades. They all had their own methods to nurture experts. Hence, it was not entirely impossible for them to discover a method to awaken a Domain. Unfortunately, this method was an absolute secret. Otherwise, how could the various Super Guilds nurture so many Refinement Realm experts? This was the difference between ordinary Guilds and Super Guilds. A small Guild was lucky if they even had a few top-tier experts. A large Guild was considerably powerful if it had several Refinement Realm expert leaders. However, Super Guilds could easily nurture their own Refinement Realm experts. An expert nurturing system would be a powerful a.s.set to Zero Wing. Shi Feng inwardly sighed. "What do you think?" Sirius asked seriously. "This is not something I can decide. Fire Dance has her own plans. However, what if I offer something else as a wager?" Shi Feng was sorely tempted by Sirius's proposal. If he could obtain a reliable method to improve his abilities, rather than search for the method himself, it would save him a lot of time. He could also use that method to nurture others. "Something else? I'm not trying to look down on you, but there is nothing in the virtual gaming world that can tempt me." Sirius had not expected Shi Feng to propose a counteroffer. He could not help but laugh as he said, "Neither Coins nor Epic items are out of my reach. I just need to invest a little time to obtain them. If you are trying to tempt me with such things, don't bother." "What about the Stable Design?" Shi Feng smiled faintly. "What did you say?!" Sirius was taken aback. "You have the Stable Design?!" A Super Guild like Battle Wolves had no issue obtaining Epic items; they needed little time to ama.s.s a collection. In fact, the Battle Wolves already had several Epic items. Hence, Epic items weren't tempting in the least to Sirius. The Stable Design was a different story. The various large Guilds in G.o.d's Domain were currently going crazy over Mounts. They were frantically gathering the required materials to construct a Stable. However, although many Guilds throughout G.o.d's Domain had obtained the needed materials, until now, none had obtained the precious Stable Design. Acquiring this Design was simply too difficult. If the Battle Wolves could obtain the Stable Design and begin nurturing their Guild Mount ahead of the other Guilds, the Guild would surpa.s.s its compet.i.tion by a large margin. They would have a greater advantage when competing for dominance over G.o.d's Domain. Shi Feng understood just how important the Stable Design was to a Guild. It was an important item that could raise the Guild's overall strength. The Stable Design was far more valuable than several Epic items. Even Super Guilds were trying desperately to obtain the Stable Design. After all, shear strength was not enough to obtain the item. One also needed to be lucky. Regarding Shi Feng's ownership of the Stable Design, he no longer had a reason to hide the information. In any case, the moment he began constructing the Stable, the secret would be out. "I have to say; I am touched by your sincerity." When Sirius looked at Shi Feng once more, he suddenly felt that the young man before him was not as simple as he had thought. The fact that Shi Feng had the Stable Design, which even Super Guilds had failed to obtain, was proof enough of the young man's abilities. After both sides agreed to the wager, the countdown came to an end. Sirius immediately revealed a smile as he unsheathed the flame-red greatsword from his back. He then swung the weapon violently at Shi Feng, who was 20 yards away. Instantly, a sea of fire emerged from the dueling ring's floor, transforming into a ferocious beast that pounced on Shi Feng. 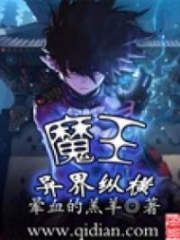 You're Read Reincarnation Of The Strongest Sword God Chapter 792 - The Ye Feng That Cannot Be Underestimated online at NovelOnlineFull.com. You can use the follow function to bookmark your favorite novel ( Only for registered users ). If you find any errors ( can't read,broken links, can't load photos, etc.. ), Please let us know so we can fix it as soon as possible. And when you start a conversation or debate about a certain topic with other people, please do not offend them just because you don't like their opinions. You're reading Reincarnation Of The Strongest Sword God. This manga has been translated by Updating. Author(s): Lucky Cat. Already has 1750 views. Current Time is 20-Apr-2019 13:10:09 PM.